Many months ago we were promised that the transition would come in August. Last week on July 15, several of my accounts got an email that it was coming in a few days. Today, twelve days later, two of the ten or so accounts I manage at 23andme got emails that they have actually transitioned to the new experience, mine and my dad’s. This is particularly exciting for me as I can now try out the new automated triangulation tool (click for previous blog post on that) with Dad and my Norwegian 3rd cousin. You need to participate in open sharing to have access to this tool. 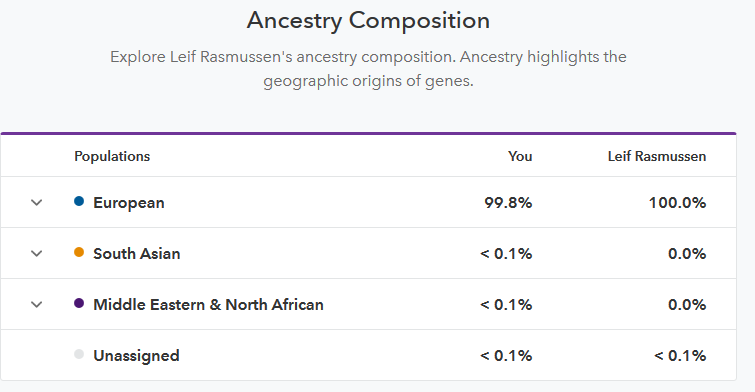 When I visited Norway last summer, kits in hand, my third cousin gave me his DNA, so of course he got the new 23andme. I did a blog post on the new experience with his kit and went into the details of how to do the things I was used to doing on the old site on the new site – comparing people, asking for shares, checking new relatives, and so on. In this post, I will try not to repeat myself but rather to report on how the transition worked for me. If your kit has transitioned, when you log in you see a big green button that says Get started that you have to click, as in the image above..
On the next page, it asks you to complete your profile information and shows you what you already have on the site. I did not see any way to move forward to the next question except by clicking Save, even though I was not changing anything. Now the important part. 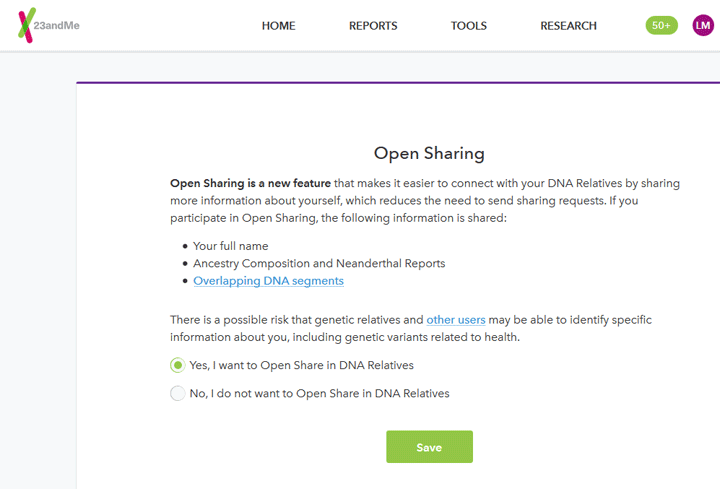 You are asked to Review your DNA Relatives Preferences and the first item is the critical Open Sharing question. You do not get the automated triangulation feature unless you say yes to this. A yes here will allow anyone who matches you to see where they match you without having to request a share. This is how Family Tree DNA works. You will still need to request shares if you want to compare your matches to each other however. Other questions in this section are for details that will show on your profile, like where your parents were born. What you had on the old site for these will be displayed and you can choose to make changes or not. After your preferences for DNA relatives are confirmed, you are offered the opportunity to answer a bunch of health questions. Personally I want to help science but it took me twenty minutes to answer these for Dad so I skipped them for now for me so that I could finish this post. If you do the health survey, note that the questions appear on same page above the previous one, as does the thank you when you are done. This makes it easy to scroll down and change an answer or just review what you said. 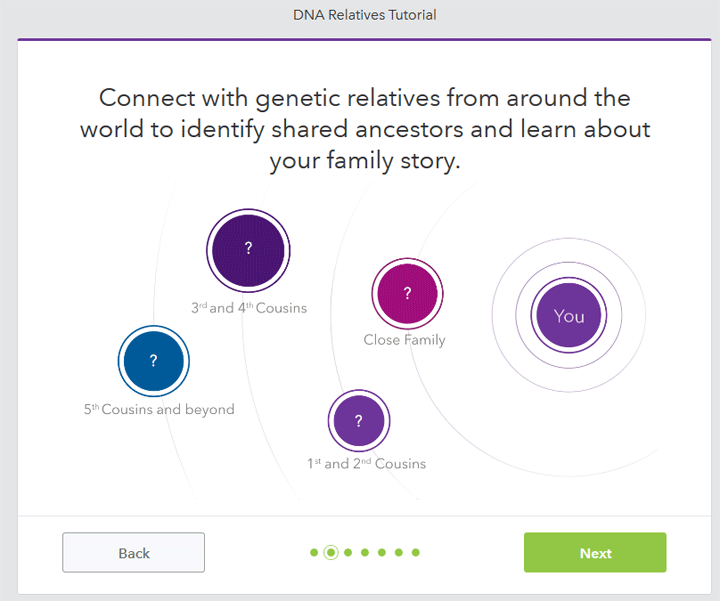 So on to DNA relatives, the first time you click on that a tutorial shows up. A sensible tutorial but if you feel you do not need it you can do what I did and click the last green dot besides the Next to get to the green button for DNA relatives. You are offered the option not to participate which I hope none of you take! The first thing I tried in DNA relatives > People was to sort by Open Sharing. Note that the drop down for the sort explains what each colored circle is to the right of your matches. Purple is open, green is someone you are sharing with, and yellow is someone you have sent a share to already. By the way to get back to DNA relatives, it is in the top drop down menu under tools. Next I clicked on a recent Norwegian relative with three shared segments who has not accepted my share but has a purple open sharing circle. This took me to a page for his comparison which nicely showed the last message I sent to him in the right hand column and his profile information in the center. Scrolling down I saw a graphic of shared DNA segments but no numbers (the DNA page will do that). Next was what we each have listed about our ancestry, then the simple ancestry comparison, our haplogroups side by side, any surnames he listed and finally the important part, how many relatives we have in common followed by a list of them and whether any of them triangulate! So Leif triangulated with three of my Etne, Hordaland fourth cousins who are all closely related to each other. Clicking on the Yes next to one of them took me to the DNA page which does show the numbers. Here I found that only one of his shared segments triangulated and it is small. Mousing over it gave me the numbers for the start and stop positions, the centimorgans, and the SNPs. Plus I scrolled down to the bottom of this DNA display page and clicked on View Segment Data in Table to get the numbers for the segments where he matches Dad. For more on this triangulation feature click here to see my previous post about it. Another of my favorite features on the old site, the chromosome by chromosome ancestry was hard to find on the new site. It seems that you can only look at this for your own profile which is a great loss. It was nice to be able to check if a segment match was to a piece with a specific ancestry. So where is the chromosome by chromosome ancestry composition? First click Ancestry in the drop down menu under Reports. The red arrows are added by me in these images. Then click on Ancestry Composition on the page that is displayed for Ancestry Reports. On the next page, click on the Scientific Details heading to get to the chromosome by chromosome breakdown. Yes I will miss some of the features on the old site but I am excited by open sharing and the automated triangulation. Many of the problems from the initial roll-out are fixed, so it just takes getting used to the new ways of doing things. ← How many cousins share my 5th grandparents? Thanks, Kitty. Except for the fact that I trust you, I would have thought it was all a myth. You are the first person I know who has the new version (except for new testers). It seems my kits are really low on the list! LOL other K – its August now so more and more kits should convert … I saw a number of folk commenting on my facebook post that they had done so. The biggest problem is just getting used to the new way of doing things. Thank you. I appreciate the preview. We apologize! Last week, we sent you a “Coming soon” email in error. We currently do not have the exact timetable for the release of your new experience. We will contact you when we have the final date. So, I logged in to 23&Me and up popped, “Review your DNA Relatives Preferences”, and, “Reviewing your preferences will take less than 5 minutes.” I did update my DNA relatives preference yesterday and tried again today. They said my preferences were saved, but all I can find is that same page, “Review your DNA Relatives Preferences”, and, “Reviewing your preferences will take less than 5 minutes.” Can’t migrate anywhere on 23 & Me. Totally frustrated with the old and the new 23&Me experience. It would be ssssooooo helpful to name the state, (or states) in the United States, for the preferred location of your search. Only listing the entire country is just too broad! 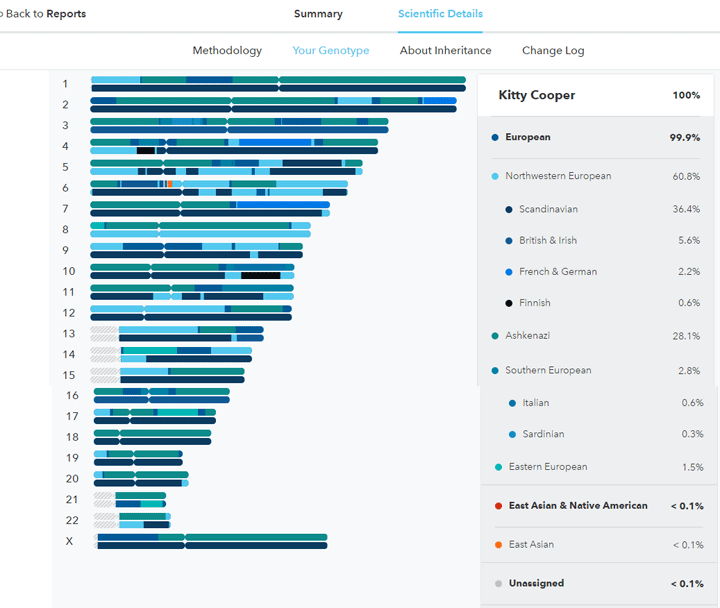 After all those promises of preparation for the new 23andme experience, I’ve finally been transitioned – 3 Sep 2016, so it has hit the antipodes (New Zealand), although the kits were ordered via a USA freight forwarder initially. Hopefully navigation will become less confusing after I’ve found all my favourite features again.